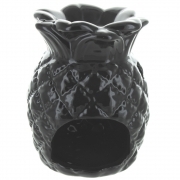 Large black pineapple oil burner. 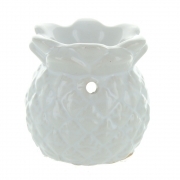 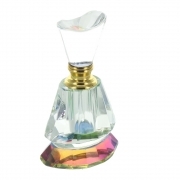 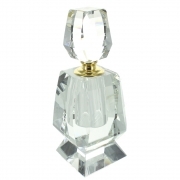 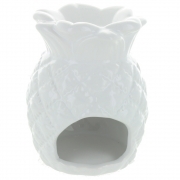 Large white pineapple oil burner. 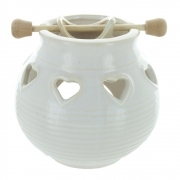 White hanging bowl oil burner with cut-out hearts. 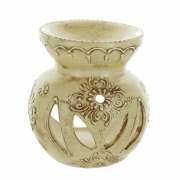 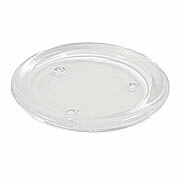 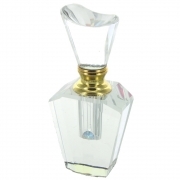 White hanging bowl oil burner with cut-outs. 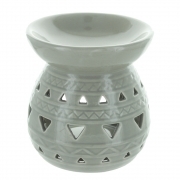 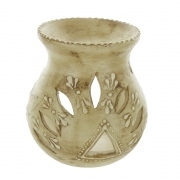 Light grey Aztec design oil burner. 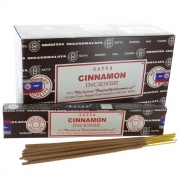 High quality Indian Cinnamon incense in the Nag Champa style. 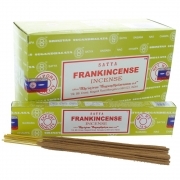 High quality Indian Frankincense incense in the Nag Champa style. 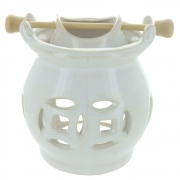 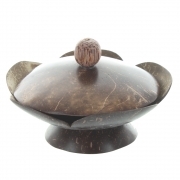 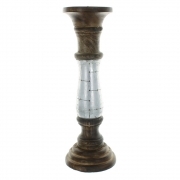 Wild Berry backflow incense cones jar. 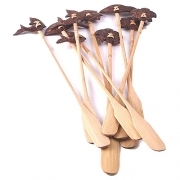 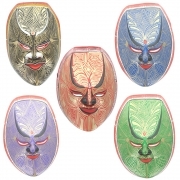 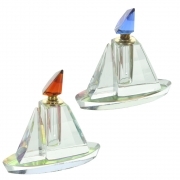 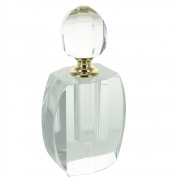 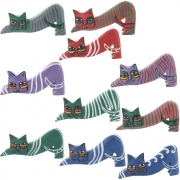 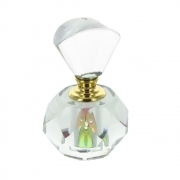 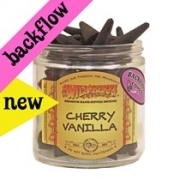 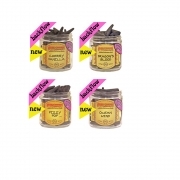 Wild Berry backflow incense cones - available in 4 fragrances. 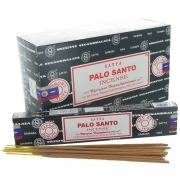 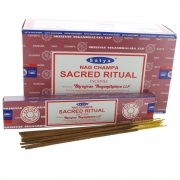 High quality Indian Nag Champa Sacred Ritual incense. 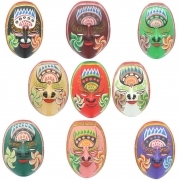 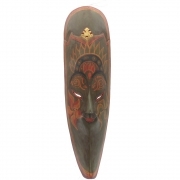 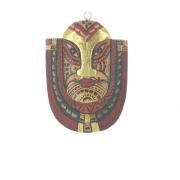 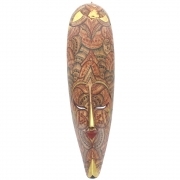 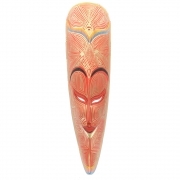 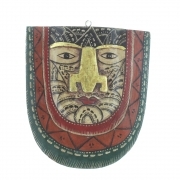 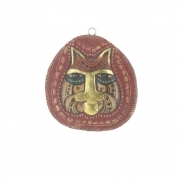 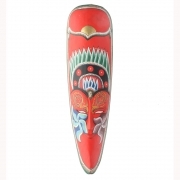 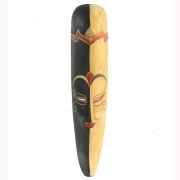 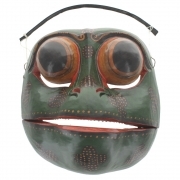 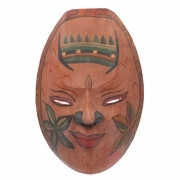 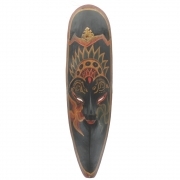 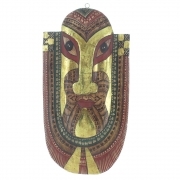 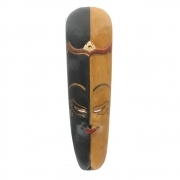 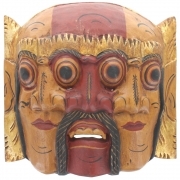 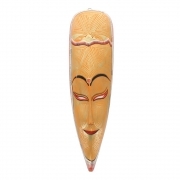 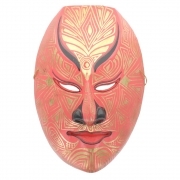 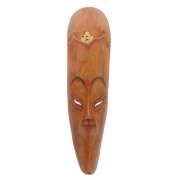 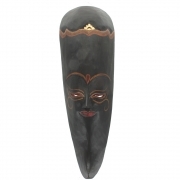 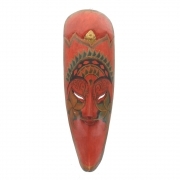 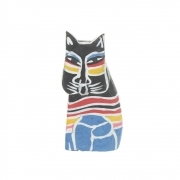 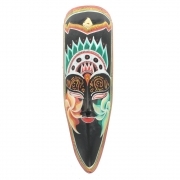 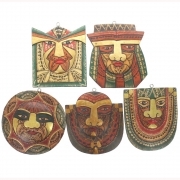 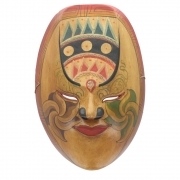 Attractive hand painted Javan mask. 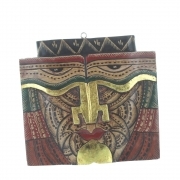 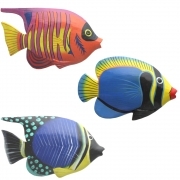 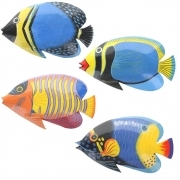 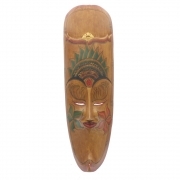 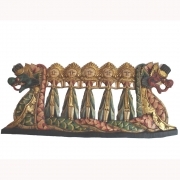 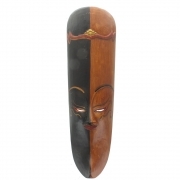 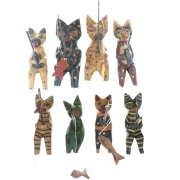 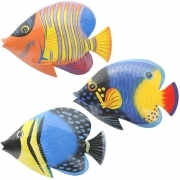 Attractive Balinese hand carved wooden wall plaque. 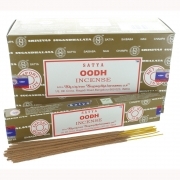 High quality Indian Oodh incense in the Nag Champa style. 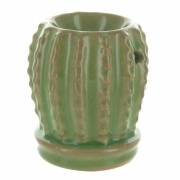 Green and brown cactus oil burner. 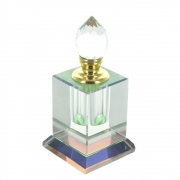 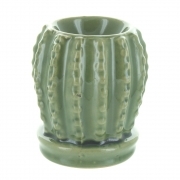 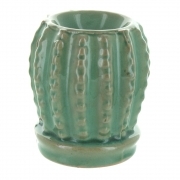 Emerald green cactus oil burner. 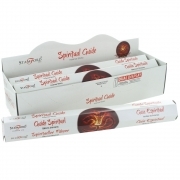 High quality Indian Nag Champa Seven Chakra incense. 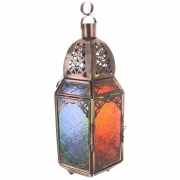 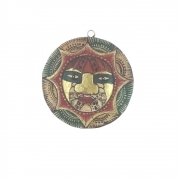 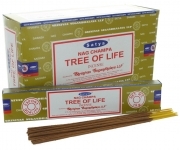 High quality Indian Nag Champa Tree of Life incense. 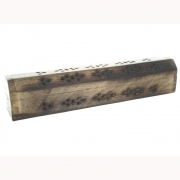 High quality Indian Nag Champa Californian White Sage incense. 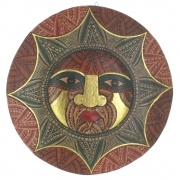 Large wooden face plaque - design 2. 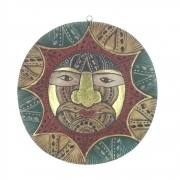 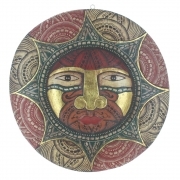 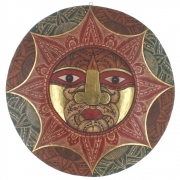 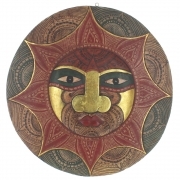 Large wooden face plaque - design 4. 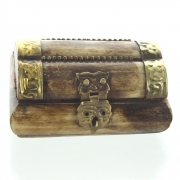 A lovely mini bone box with brass trim, clasp and hinges. 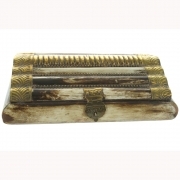 A lovely bone storage box with brass decoration. 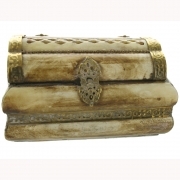 A lovely bone storage box with brass trim. 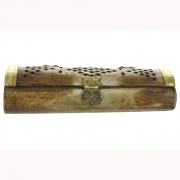 A lovely bone storage box with brass crown design. 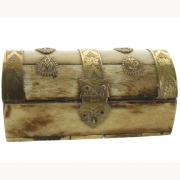 A lovely bone treasure chest with brass decoration. 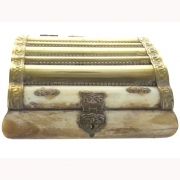 A lovely bone box with brass clasp and hinges. 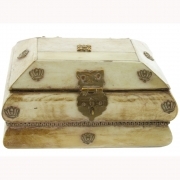 A lovely small bone storage chest with brass decoration. 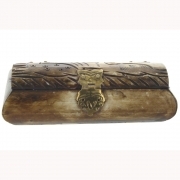 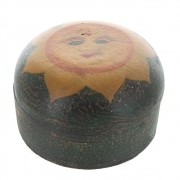 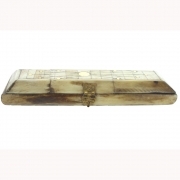 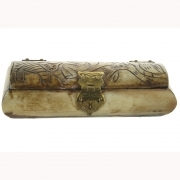 A lovely bone storage box with brass decoration and carved chasing animal designs. 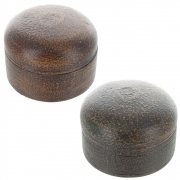 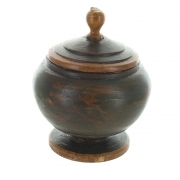 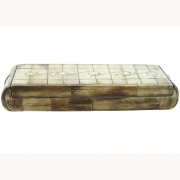 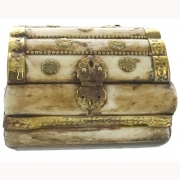 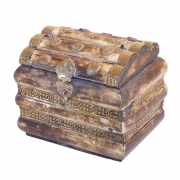 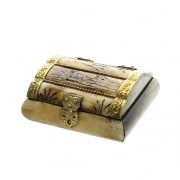 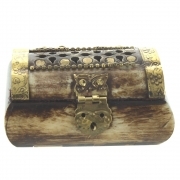 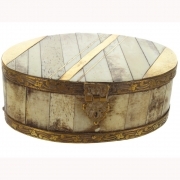 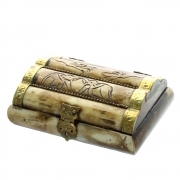 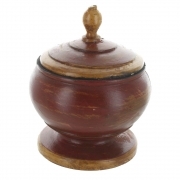 A lovely bone storage box with brass decoration, shaped like a treasure chest. 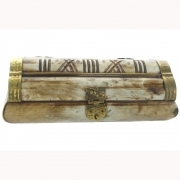 A lovely bone storage box with brass decoration and carved elephant designs. 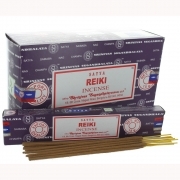 High quality Indian Reiki incense in the Nag Champa style.